The Coup Company is a one-of-a-kind, full-stack studio specializing in the discovery and development of original content. The Coup Company’s accelerators surface new talent and original content from untapped sources by incentivizing the participation of both content creators & fans. Coup platforms provide creators with valuable audience feedback, social media savvy and industry insight to help improve their IP to better reach specific targets in an increasingly competitive marketplace. 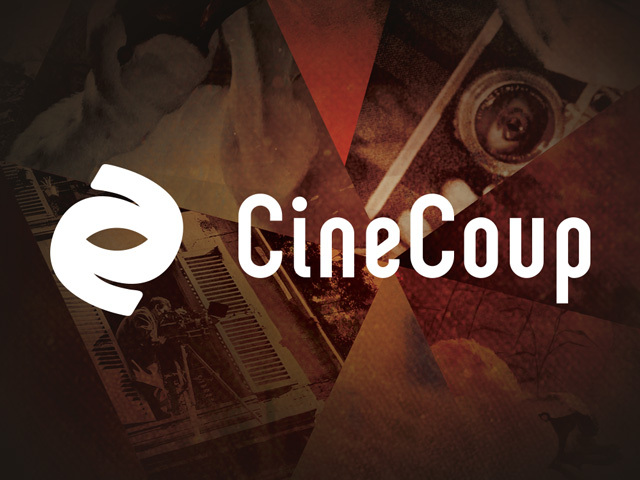 The Coup Company leverages partnerships with top tier companies (Cineplex Entertainment, TELUS, Canon, CBC, etc.) and social media to help content creators engage their fans and build an audience before financing even begins. Coup platforms aggregate fan activity to provide measurable demographics and market research to better target marketing spend. Coup accelerators have successfully optioned and produced dozens of high concept properties with inherent built in audiences. The Coup Company also applies its expertise in audience building and engagement to creating bespoke platforms for best of breed partners. The Coup Accelerators are designed to help creators develop, market and produce their own original content by building fan support through online promotion. Our accelerators provide creators with valuable audience feedback, measurable demographics, social media savvy and professional pitch packages, bolstered by fan support. Projects that successfully navigate one of our accelerators are optioned for development; projects that excel are greenlit for production. 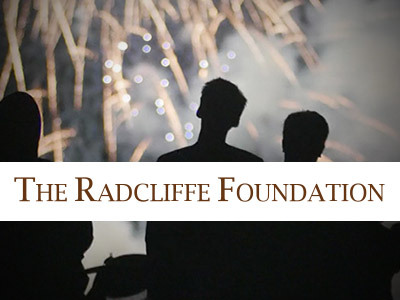 The CineCoup Film Accelerator is a new studio model that helps independent filmmakers develop, market, and finance their feature films. Filmmakers apply with a movie trailer video then advance through a gamified selection funnel designed to develop their projects and build fan support on the CineCoup social web platform. A final project is greenlit with up to $1 Million in production financing and a release in Cineplex Theatres. 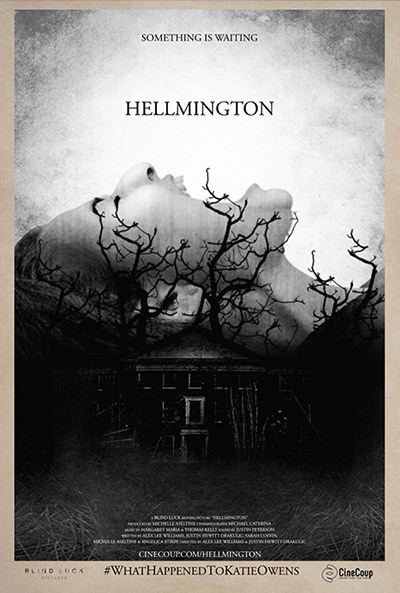 The Final 5 projects are optioned for development. 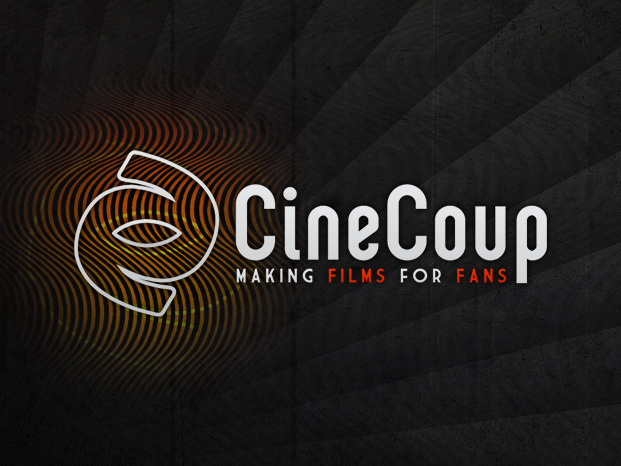 The goal of CineCoup is to find untapped talent and bring it into the public eye, while at the same time building audience and fan support for creative properties before filming begins. The results are films made by fans for fans. The 2013 inaugural season culminated with the cult phenomenon WolfCop. The talent in 2015 was so overwhelming that two Big Deals were selected, Hellmington and High School Brawl. 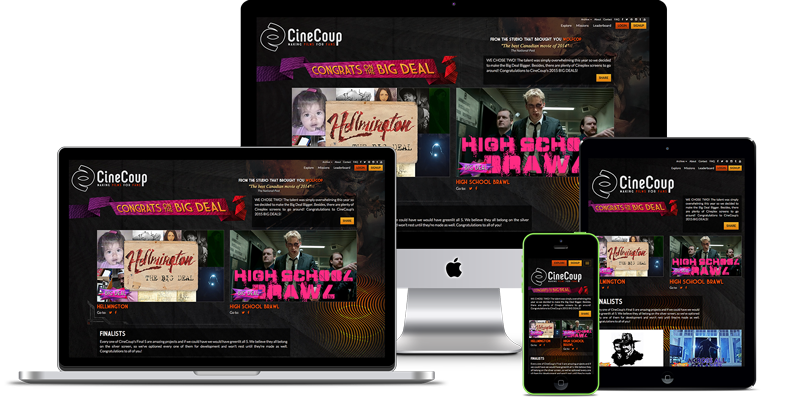 CineCoup 2015 was drastically redesigned from the previous version to incorporate a new visual style and an improved user interface. 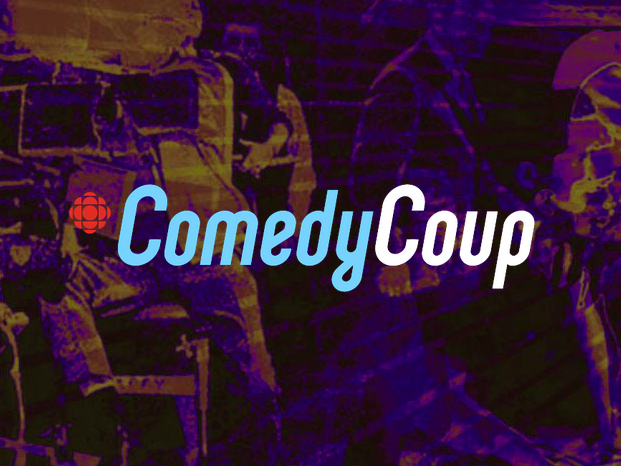 A co-venture between CineCoup and CBC, ComedyCoup adapted dimeRocker's original Film Accelerator technology for television production. 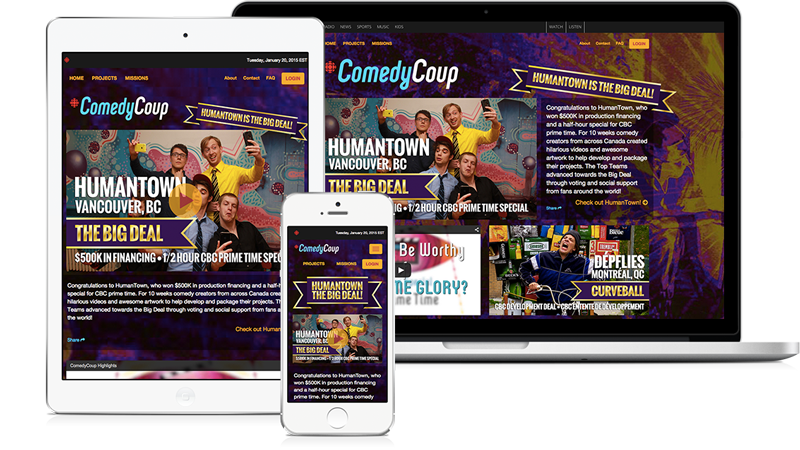 ComedyCoup allows comedy creators to develop, market and pitch half-hour television concepts. 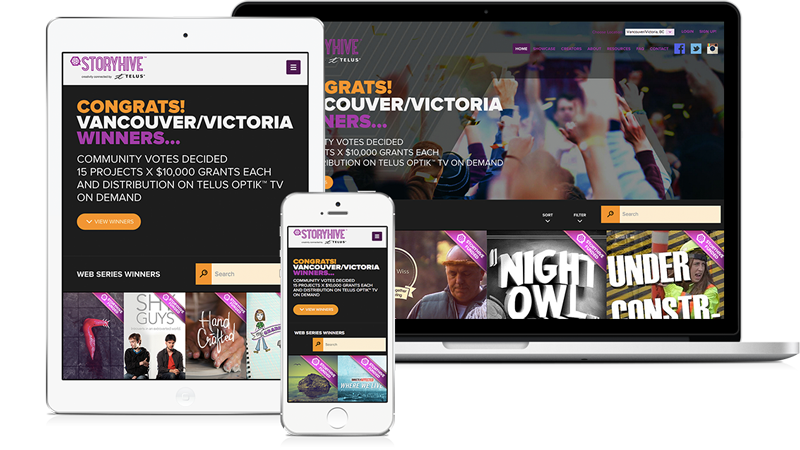 Teams apply with a teaser video for their concept then advance through a gamified selection funnel designed to develop their projects and build fan support on the CBC ComedyCoup social web platform. 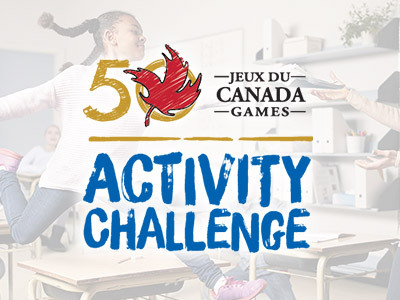 One project is selected for $500,000 in production financing and a thirty minute slot during CBC's Prime Time schedule for their comedy special. Five projects are optioned for development. 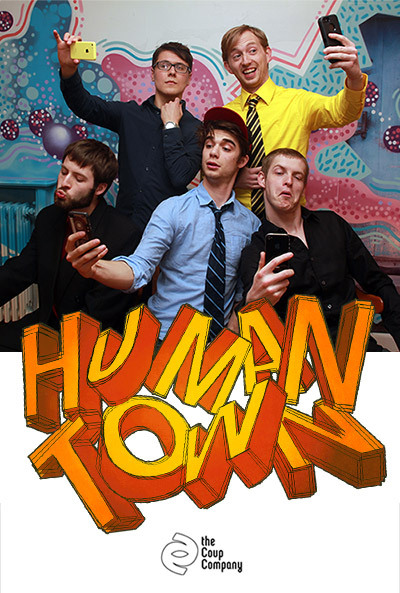 The inaugural season of ComedyCoup resulted in a greenlight for Vancouver based HumanTown and a CBC development deal for the Montréal team Dépflies. 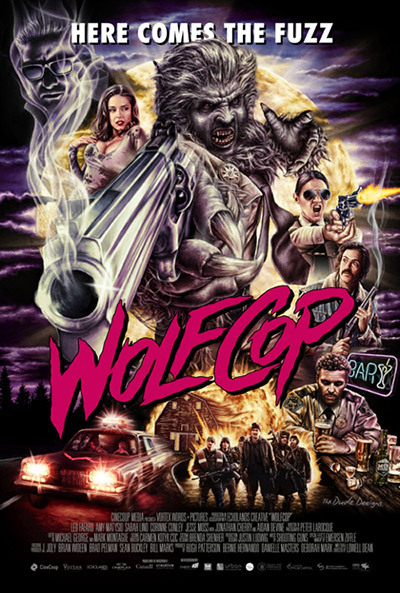 WolfCop is a horror comedy film from writer/director Lowell Dean. 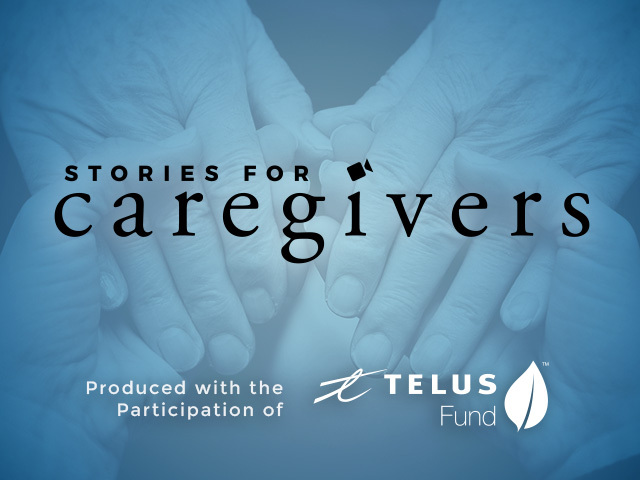 It was the Top Project from CineCoup's 2013 Film Accelerator and the recipient of over $1 Million in production financing. 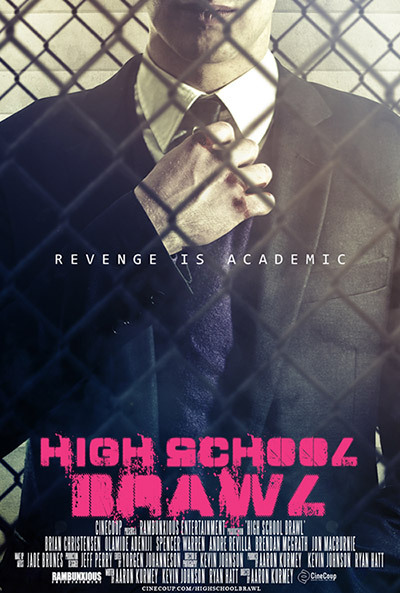 Produced by CineCoup, the film was released in Canada through Cineplex Entertainment nationwide on June 6, 2014 and stars Leo Fafard, Amy Matysio, Jonathan Cherry, Jesse Moss, Aidan Devine, and Corrine Conley. The plot revolves around an alcoholic small town cop who transforms into a werewolf after being cursed. 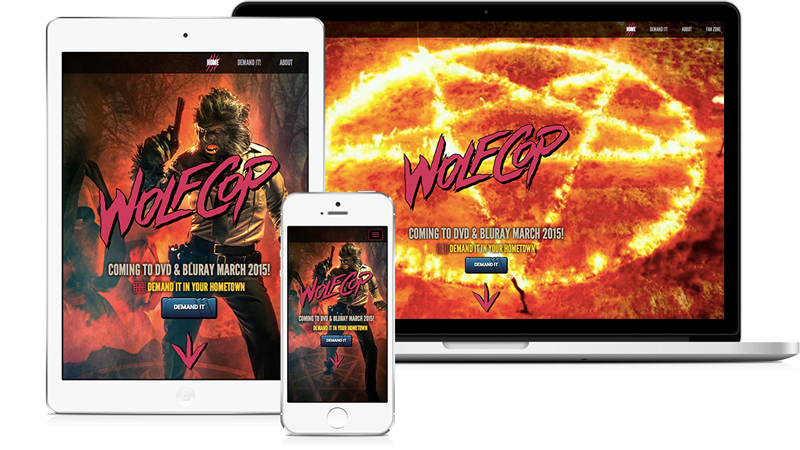 WolfCop has garnered a cult following since its release with The National Post heralding it as being "The Best Canadian Film of 2014." It has played at Film Festivals and Fan Conventions worldwide and currently holds a 71% positive rating on Rotten Tomatoes. 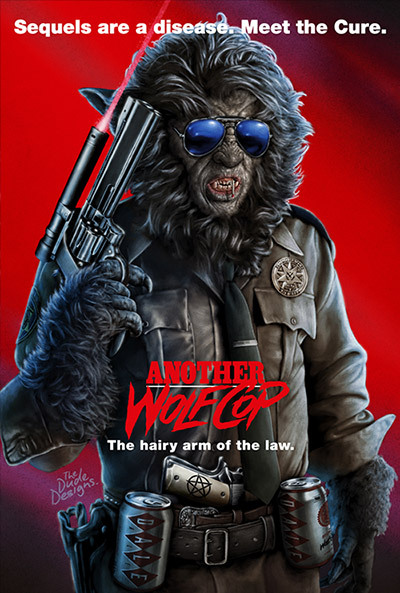 WolfCop 2 has been greenlit for a 2015 production start. 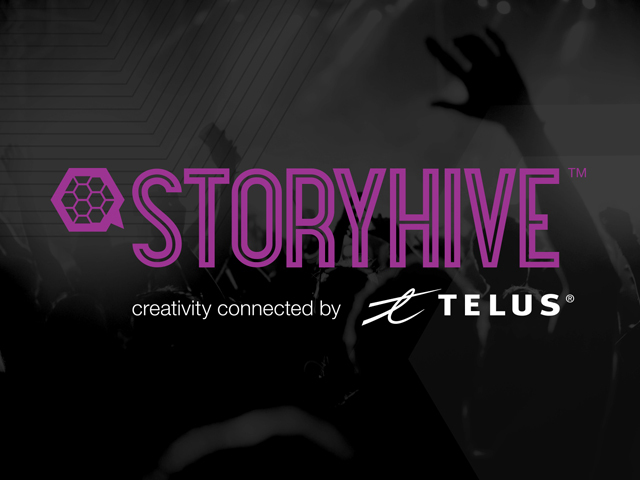 STORYHIVE is a community-powered funding program from TELUS that offers production grants and distribution opportunities for local creative talent in Western Canada with fresh ideas to make their video projects happen. 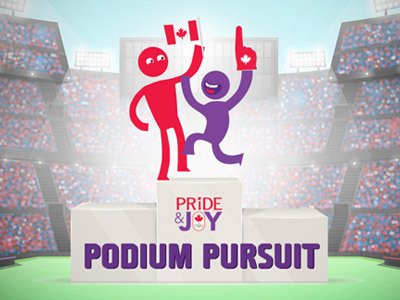 Local creators from BC and Alberta apply for grants to produce a project and the community votes to decide which projects get funding and distribution on Optik Local (TELUS Community Programming) via TELUS Optik TV On Demand. 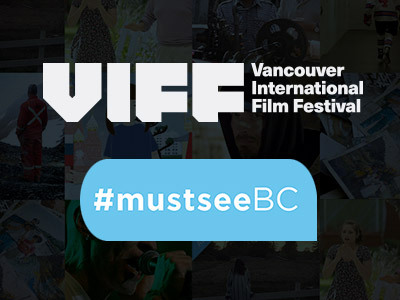 Over 73 grants were awarded in BC and Alberta with over $890,000 in production funding invested back into the community for local content creation.